Welcome to the online home of the Bangor Band. 2019 marks our 160th Anniversary, making us one of the oldest, continuous community bands in the United States. We have been performing concerts at various venues throughout the greater Bangor area since our inaugural season in 1859 and are proud of our musical tradition in serving countless generations of Bangorians for the past 160 years! April 23: Most of you know that unless it’s summer time, Tuesdays for the Band are for rehearsals – But! – On Tuesday, April 23 at 7:30, we have a treat for the Bangor area! At Peakes Auditorium, we will be doing a combined concert with the Bangor Area Children’s Choir and the University of Maine Collegiate Choir! Both fine ensembles are under the direction of Dr. Webb Parker who is Assistant Professor of Music Education and Voice at the University of Maine. Please join Dr. Parker, your Bangor Band conductors, Dr. Philip Edelman and Mr. Scott Burditt along with all three groups of talented musicians for an evening of music you won’t forget! April 28: And why not make it a Double-Decker Music Week by again joining us with conductors Philip Edelman and Scott Burditt at Peakes Auditorium on Sunday, April 28 at 4:00 for our 15th Annual Bangor Band Members Memorial Concert. This is the Band’s annual tribute to our members who have passed on but left their mark on the history of the organization and in the hearts of the community. Come along and enjoy the celebration of special people and great music as we honor the past, the present and the future of your Bangor Band! As always, our concerts are free of charge but donations are welcome and appreciated! You can always check here for where and when the Bangor Band will be performing throughout our 2019 season! 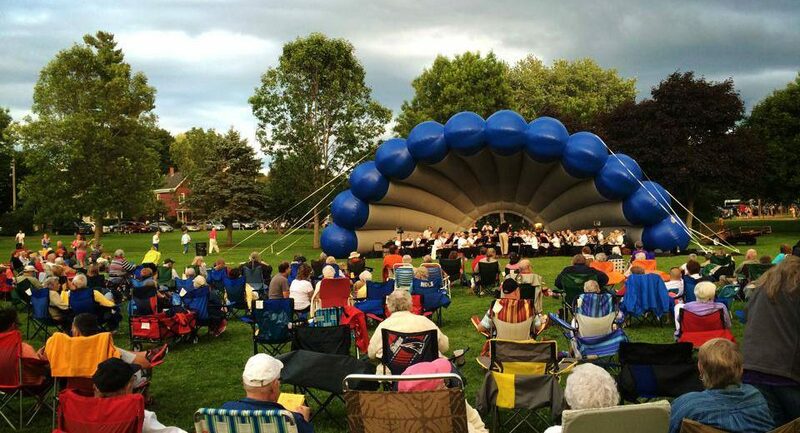 The Bangor Band is Proud to be Housed and Sponsored Year-Round by Bangor Parks & Recreation.